Home / Teamnew / Joseph Pesce, C.P.A. 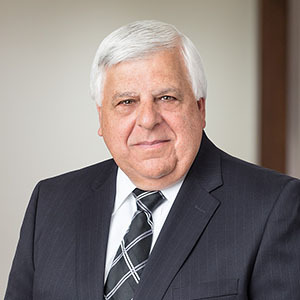 Joe Pesce joined Great Point Partners’ CEO Advisory Board in 2010, became a Managing Director and Operating Partner at Great Point Partners in 2011 and rejoined the CEO Advisory Board in 2018. He was formerly a Board member of GPP I portfolio companies, Connecture and Equian. Mr. Pesce led the recruitment of five GPP I and three GPP II CFOs, improved the financial reporting at GPP portfolio companies and helped to integrate tuck-in acquisitions. Prior to working with Great Point, Mr. Pesce served as a Managing Director, Chief of Operations and CFO at Thomas H. Lee Partners. Previously, he was an Executive Vice President of Finance and Administration, Treasurer, and Chief Financial Officer at Renaissance Worldwide and at Concentra Managed Care. Mr. Pesce holds an A.B. degree in mathematics, with honors, from Boston College and an M.B.A. from the Wharton School of the University of Pennsylvania. Mr. Pesce is also a Certified Public Accountant.